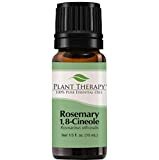 REFRESHING OIL WITH NOOTROPIC-LIKE PROPERTIES: Rosemary 1,8-Cineole Essential Oil has superb cognitive enhancement abilities. If you need to buckle down and study for an exam or looking for some increased focus and alertness while at work then this powerful oil might be just what you need. 100% CERTIFIED PURE ROSMARINUS OFFICINALIS: Rosemary is wonderful for maintaining healthy hair and an itch-free scalp. It can help stimulate hair growth and eliminate dandruff itch. 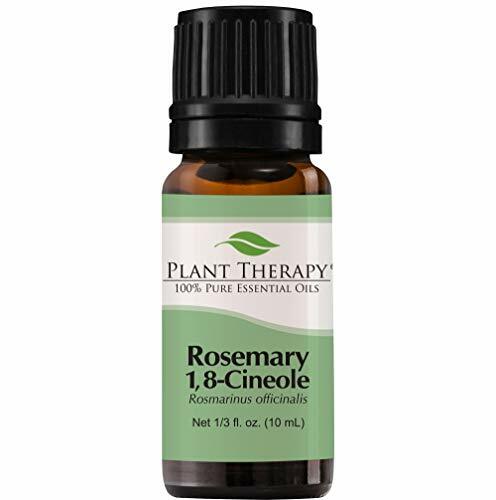 Create a healing massage oil with Rosemary 1,8-Cineole to help soothe an upset stomach and cramps.